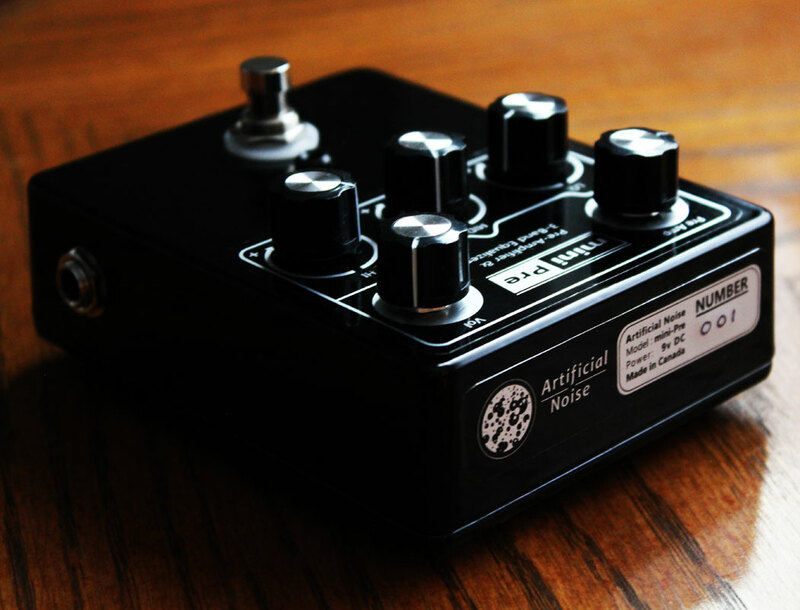 Artificial Noise builds electronic instruments and odd-ball effects, hand-made with care in Winnipg, Canada. Established in 2016. Please keep in mind Artifical Noise is a very small buisness with very slim margins - we are not Guitar Center or Long & McQuade and returns take a big chunk from our meager earnings. So please be sure you want the item BEFORE you purchase. Thanks. If for some reason the Artificial Noise product is not working out for you, please contact us via email within 5 days of receiving the item to be issued a refund. After you have contacted us, please ship your product via a guaranteed, trackable shipping service to the address provided by us. Products must be returned in new condition, shipped in the original packing material to qualify for a refund. Worn or abused products or products that are missing accessories will be subject to a minimum 15% restocking fee and/or store credit only. We reserve the right to deny a return in the case of excessive wear. After receiving a response from us, the customer must return the associated item immediately and it must arrive at our facility within 7 days. Returns may be denied if returned more than 7 days after contacting us. “B-Stock” products are sold as-is and not eligible for refunds.